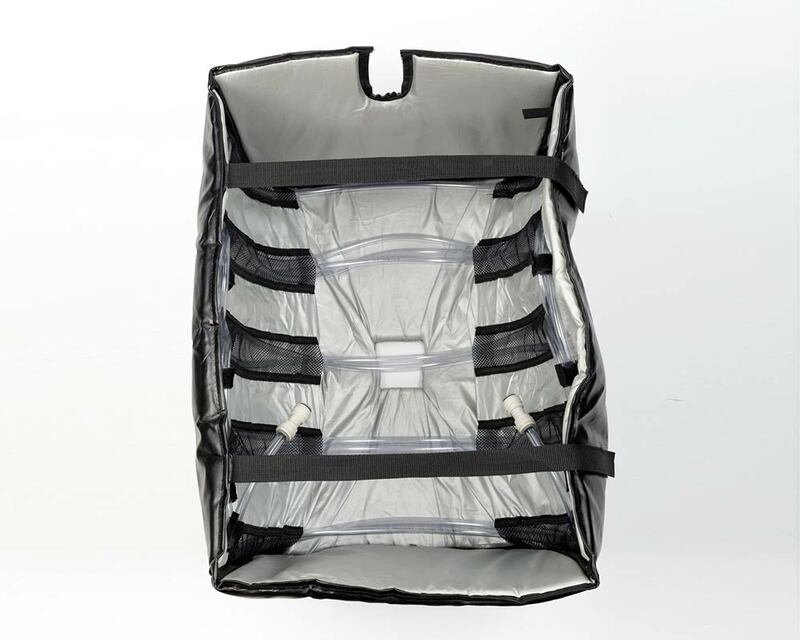 A-Cask Horizontal piped cooling jackets consist of an outer layer of high quality black PVC, an inner layer of silver nylon fabric with foam insulation between the layers. PVC pipe is woven into net pockets, through which chilled water is re-circulated. The jacket is fastened tightly around the cask with a Velcro strap, ensuring the cold piping has maximum contact with barrel.